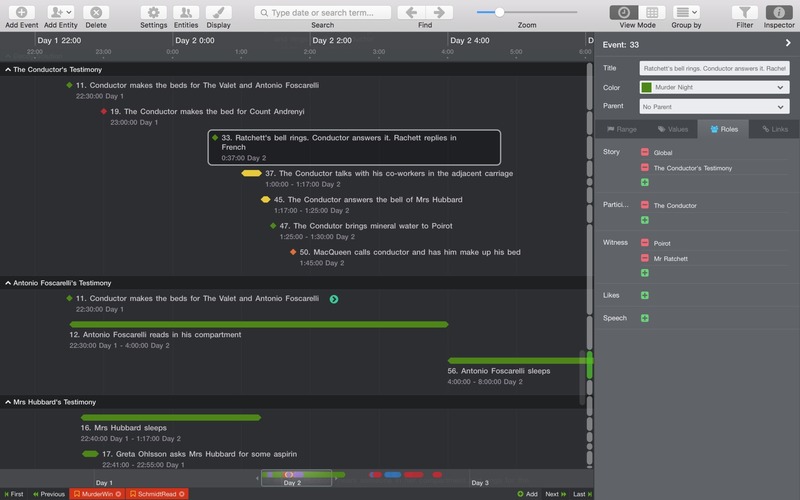 Aeon Timeline is the timeline tool for creative thinking. Most traditional timeline applications are designed to suit a single need: to create an attractive display of one- dimensional time. They are presentational, static, and perfectly suited to overhead slides and projectors. Aeon Timeline aims to be different. Model relationships between people and events. Divide your events into concurrent arcs. Filter events based on people, places, and tags. Zoom to view the time scale you wish to see. Navigate and edit your timeline with a simple, intuitive interface. And when you are done, export data to a range of external formats. Aeon Timeline is also the only timeline tool that allows you to create your own fantasy calendar systems.